Here we are at our “First” Easter living in Texas!!! Spring has sprung and the delight on Little Mans face was an awesome affair for Papa and I! 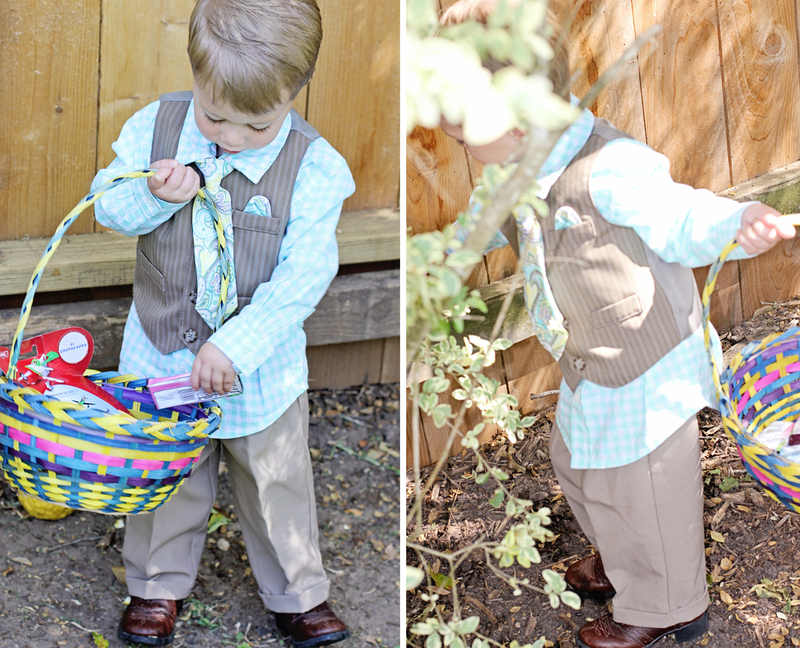 Is his Easter outfit just adorable or what? Grammie went crazy over his tie and shirt. 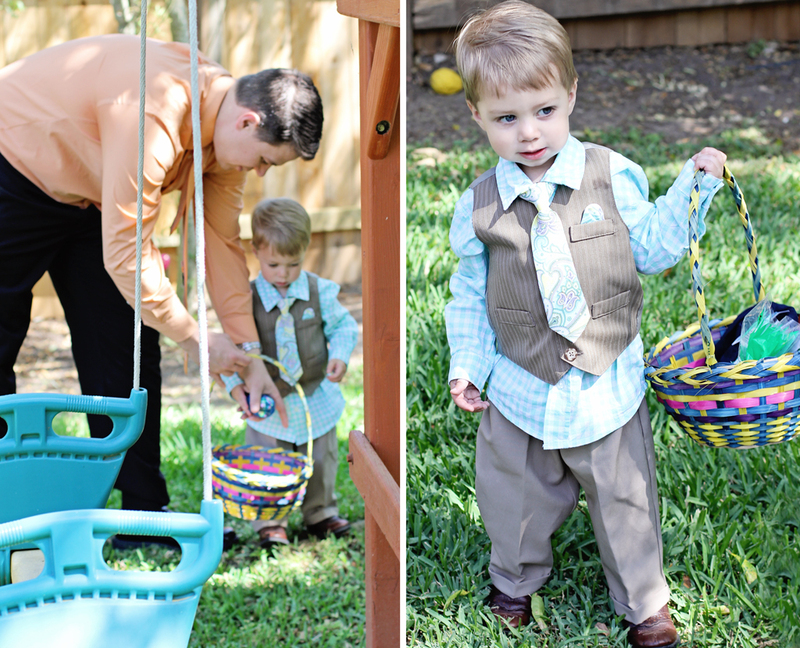 Did you notice he is wearing his cowboy boots on Easter…well of course, we are in Texas right?!. Well look at this…M & M’s in a carrot…hmm. He had to climb up in his fort to find one of his eggs…look at his face. A little portrait setting for this special day in the world. But a little chocolate never hurts anyone. Smile. You all have blessed me with your beautiful kind comments on Easter day…wow!!! I wanted to give back something to you, to let you know I am thinking about this community and the friendships I have here. Blogging has given me connections, I didn’t realize was possible. You come to the knowledge, everyone has something in their life to share. It’s up to YOU to decide if you will? A beautiful face with eyes sparkling! hi Laurie, for some reason your blog is not showing up on my blog list and I decided to check to see if you were posting and discovered your new beautiful blog design and gorgeous Easter photos of little man~nice to visit again, I don’t know what happened!! Great photos make for even greater memories a little down the track Laurie. He’s definitely a cute little guy. He is getting so big.. What a cutie pie. I am loving those Cowboy boots. Oh how adorable. I love the outfit. So much cuteness. What happy, Happy Easter photos. Oh, my, what a dapper young man! I can imagine you are just going crazy getting to see him so often now. I’m so happy for you. My grands are about 2,000 miles away and I’m sad about that every day. Good for you, making the move! And it’s good to see you back around here 🙂 Blessings to you as you settle into your new life, Laurie! Such a handsome young man you have. We certainly have felt your absence around bloggy land. So glad to have you back today! LM is way too cute! Love his outfit and his beautiful face! What a joy to spend Easter with him this year. I know you are just so happy! That little Easter Dude is mighty cute! So glad you had a lovely day together. And I’m glad things are beginning to normalize for you. Moving homes is never easy, even when it’s a desirable move. Hang in there … brighter days are here! 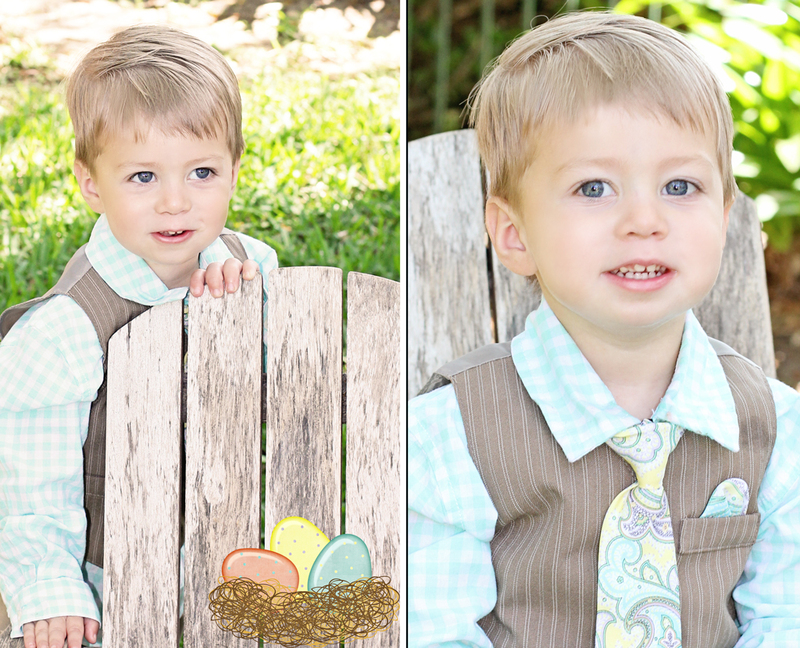 Nice photos of Little Man with his little suit and tie.His parents and you’re very lucky to have such a child with blond hair, a seductive smile and mischievous blue eyes that would melt more than one. That’s so awesome, Laurie! I was just thinking of you b/c I knew you had something big going on. I’m so, so happy that y’all are closer to your sweet little heart-breaker! I know he is overjoyed, too! He sure is becoming the “little man” isn’t he? Love the outfit! Oh what a wonderful first Easter in Texas. 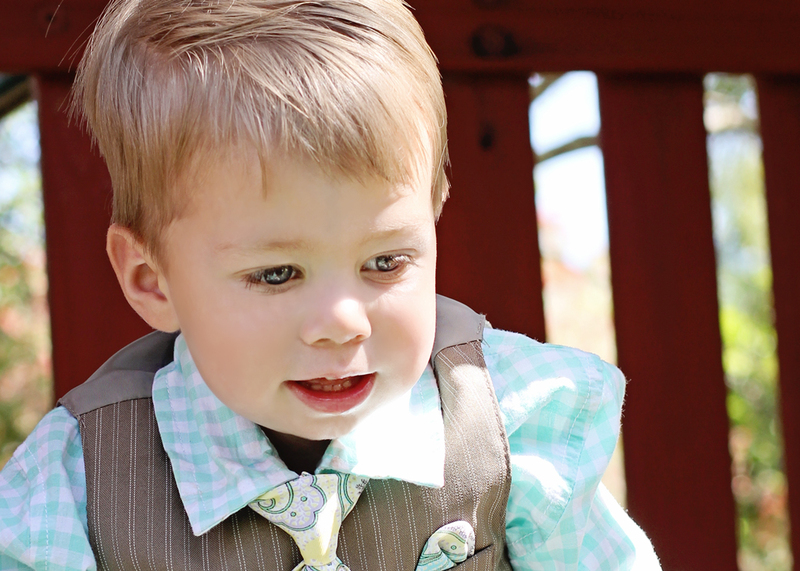 Lil Man looked like a little man and was adorable in his Easter clothes! Little Man just continues to get cuter & cuter. I bet you just love being so close to him now!! Just seeing the title made me realize the photos would be out-of-this-world cute – and of course they are! What a beautiful child and how fortunate for everybody that grandma is right there with her camera – and the skill to use it! I can just sense the fun of the day. It comes right through the pictures! Well done! LAURIE!! I was thinking of you last week as we were attending the wedding of our niece in the charming little town of Plano, Texas. I image that vast state is a wealth of small town photo ops, so you’d better get busy!! Thank you for sharing your sweet family Easter photographs, I enjoyed each and every one. Love the outfit, and at the rate he’s growing, your grandson will not be able to wear it again soon….it will be too small! What a lovely little boy! How adorable are these! He looks so adorable in his little suit! You are awesome. WOW!!! What sweet photos of “Little Man”. He is an angel as I am sure you know that. You have such a creative ability to capture those pics that melt your heart. We miss you so much. Our mah Jongg games are just not the same without your stories and delightful personality. Keep up the blogs. That is our only way to keep you part of us. We had a great Easter. Think I told you we went to Sanibel Sunrise Services and it was awesome. There was a rainbow along with the beautiful shades of color with the sunrise. A unbelievable experience. Hope you are finished with your decorating the new house. We are in the midst of having our kitchen redone. A mess, but we have been there before, so we will deal with it. We really need to do this, since it is the “Original” kitchen. Hope you are well. Miss you lots!! He’s a real charmer, dressed up and all! Wonderful to be close to him, I’m sure! The little man looks so handsome in the dress! 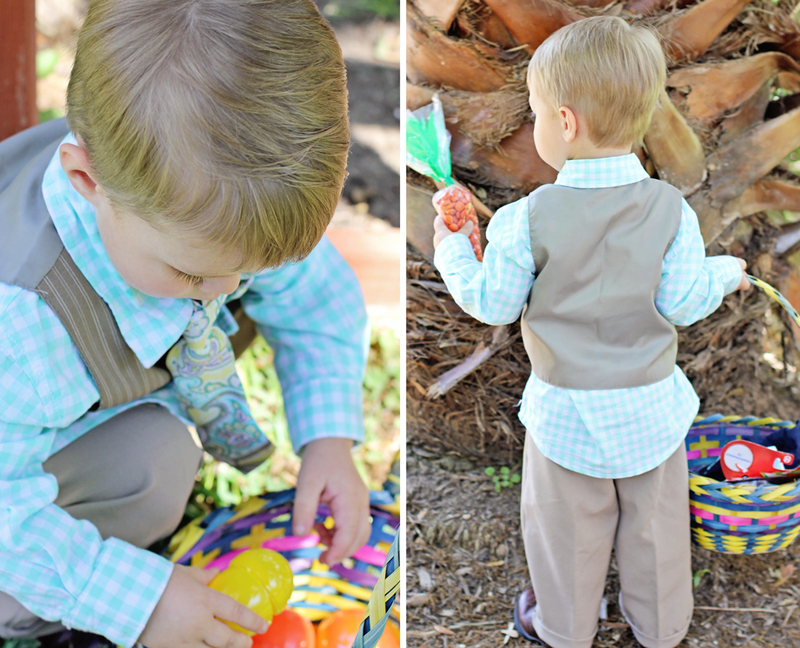 That is SUCH an adorable Easter outfit …. very well coordinated, including the boots! Who had more fun …. Little Man or Grammie?